Sala became Cardiff's club-record signing the weekend before and the 28-year-old's family have since been able to restart the search thanks to a crowdfunding effort. Tuesday's Premier League trip to Arsenal is Cardiff's first match since Sala disappeared, and the Welsh club's staff and fans are expected to wear yellow daffodils. 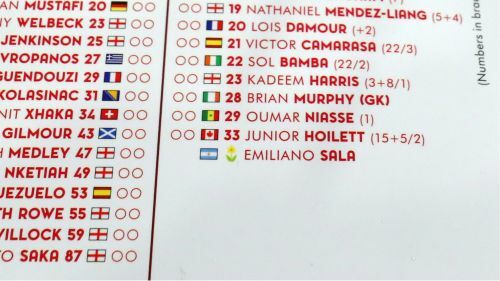 The flower will also be handed out alongside the official matchday programme, which lists Sala as part of Cardiff's squad, with a daffodil where his number would have been. "It is a yellow flower, the flower of Wales and has significance to Nantes," he said. "We feel for FC Nantes, their fans and players. "They definitely know Emiliano better than we do and it is tougher for them at this point in time."